If there’s one thing grandmas know, it’s how to take care of the next generation. 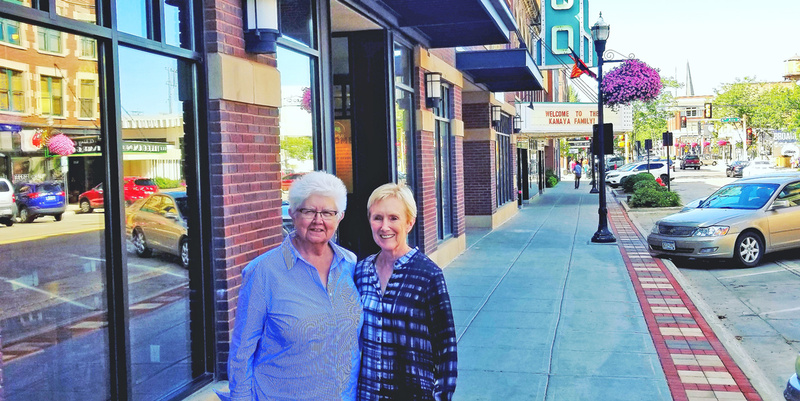 For two self-identified “Badass Grandmas” in North Dakota, taking care of the future of their state means taking a stand against corruption. Dina Butcher (a Republican), and Ellen Chaffee, (a Democrat), have joined forces to put country over party. Together, they're leading the anti-corruption movement in North Dakota. They’re not waiting for the government to come along and clean itself up. They’re organizing with local volunteers, knocking on doors, gathering signatures, and putting power back in the hands of the people. 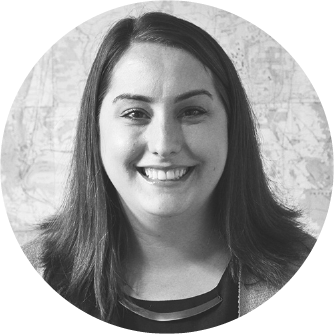 Alongside other members of their community, they’ve launched North Dakotans for Public Integrity. Over a dozen leading North Dakotans from across the political spectrum, including former elected and appointed public officials, educators, public policy specialists, and attorneys, met weekly throughout 2017 to develop the North Dakota Anti-Corruption Amendment. They discussed the state’s needs, researched policies in many states, studied North Dakota law, interviewed public officials, met with citizens around the state, and consulted state and national experts in campaign finance, ethics, and elections. Thanks to them—and 38,000 other North Dakotans who signed a petition to put anti-corruption on the ballot this November—voters have a chance to enact a sweeping Anti-Corruption Amendment known as Measure 1 next month. Here's why a grassroots coalition is pushing to fix corruption in North Dakota, and what the amendment would do. 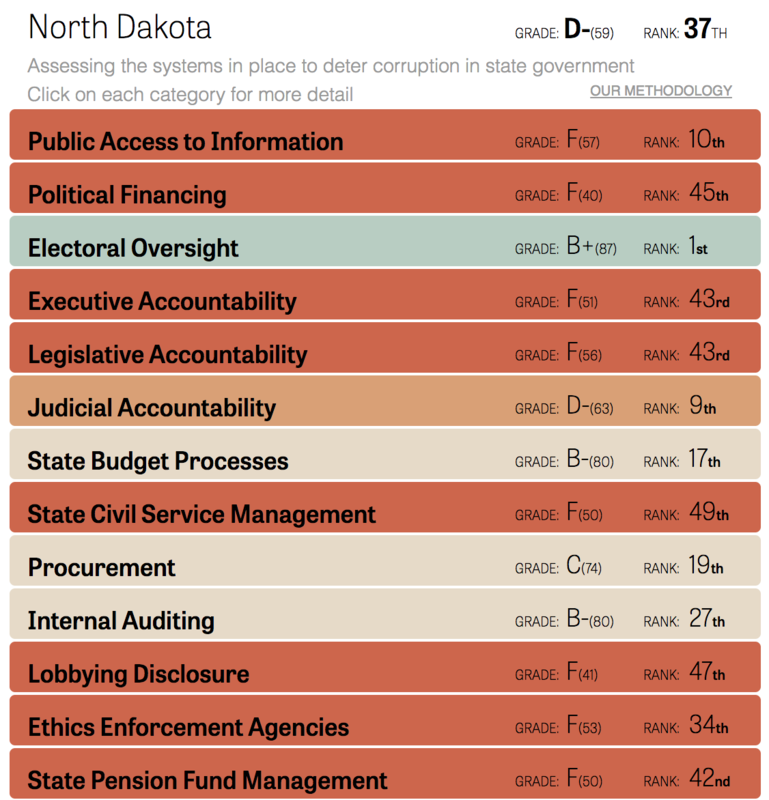 Right now, North Dakota is one of only seven states without an independent ethics commission. That means there are no consequences for politicians or lobbyists who seek to rig the system for their own benefit. Without an ethics commission to establish rules that ensure government accountability and transparency, there's no impartial cop on the beat to make sure that the government is accountable to the people, instead of millionaires and special interests. In states without ethics commissions, there is no central place to turn to when politicians and lobbyists break the rules. There is no one to go to when citizens want to lodge an ethics complaint or bring conflicts of interests to light. That’s one reason why the Center for Public Integrity gave North Dakota an abysmal D- rating. North Dakotans take pride in their government. So when they saw a need to protect it, they did something about it. 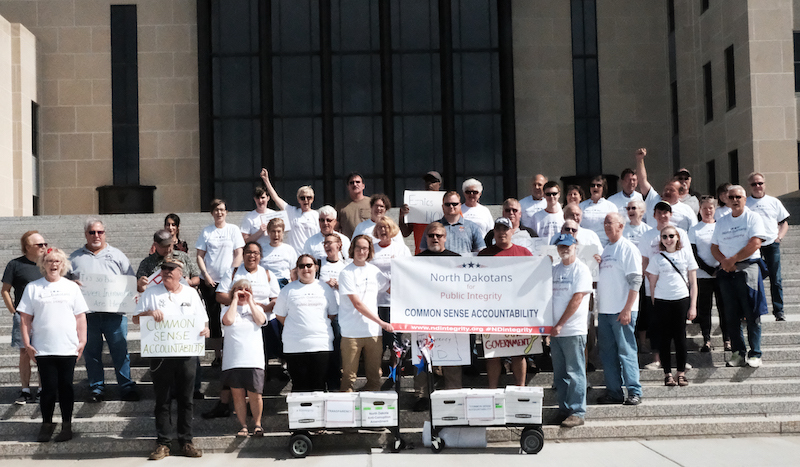 In an impressive grassroots effort, North Dakotans for Public Integrity brought together people from across the political spectrum and worked together to create Measure 1. They asked North Dakotans what they wanted from their government, and what common-sense anti-corruption laws should look like in North Dakota. That’s how they came up with a simple, comprehensive measure to reduce the influence of lobbyists in government in North Dakota and to keep political power in the hands of North Dakotans. Measure 1 proposes clear solutions: it bans gifts from lobbyists to politicians, stops lobbyists from "bundling" unlimited campaign contributions to candidates, creates an independent and nonpartisan ethics commission, closes the revolving door between government and the lobbying industry, and roots out conflicts of interest, among other provisions. Who could be against provisions like that? Those that benefit from the corrupt status quo, that’s who. North Dakotans know their government should be working for them and their families—not just those with the money and power to buy influence. That’s why they took matters into their own hands to build this movement. And they aren’t the only ones working to shine a light on our corrupt political system. 2018 is poised to be a historic year for political reform, and the beginning of the end for politics-as-usual. There are more than two dozen measures on November ballots. That’s more than we've ever seen. Automatic voter registration ballot measures in Michigan and Nevada. People across America are gearing up to fight the corrupt political establishment this November. With victories already in Michigan, Maine, Alaska, and Ohio, the anti-corruption movement is building unstoppable momentum this election season. We're leading the fight for anti-corruption laws in states, and history shows that federal reforms will quickly follow. Together, we will demand that our elected politicians work for us—and not the monied few.